Michael is a tech-savvy international brand builder, product marketing and business development leader that has worked in and on startups, small-medium-enterprises and Fortune 500 companies before starting Global Ventures Group. He helps privately held and private equity funded startups, midsize and Fortune 500 companies grow by building a high performing teams, designing sustainable strategy for the brand to grow in a way that will continue to drive top-line growth. Michael brings a forward thinking, C-level market-based perspective. By working hands-on, “embedded” as part of the leadership teams and top management, GVG clients have seen their brands amplified and positioned in a way that transforms them from below average or average to stronger performers. “Growth” means different things to different people. For GVG customers, this often means Michael is on the leadership team of 2-3 clients working along side of the leaders and investors 18 - 36 months to bring a growth strategy to life and lay the groundwork for culture, people, process and performance improvements. He is primarily responsible for developing the marketing and business development functions; providing strategic vision, framework and process design, team building and hands-on execution for enhancing the brand, marketing, communications and business development functions. This includes developing strategic partnerships and global sales channels to increase adoption of Artificial intelligence, SaaS, digital startups and health brands. Michael has more than 25 years of experience working in international marketing, business development and leadership positions with companies transitioning through the pre-revenue to 1M, 2m - 10m, 10m-100m, 100m - 1B growth journey. He has been helping organizations transform their traction, growth and scaling processes into distinct brands with competitive advantages. Michael works on a global basis, lived in six countries and has worked with a diverse range cultures and organizations ranging from startups to billion dollar multinationals. He is currently based in Lisbon, Portugal. SwissDecode, Imagenica SA, YelloGator, Robosavvy Truewind and more. SalesForce, OutSystems, Microsoft, HP, Nintendo, Boeing, T-Mobile, AT&T, CheckPoint Software, RSA Security, Symantec, BD Biosciences, Teledyne Lecroy and LifeWave. 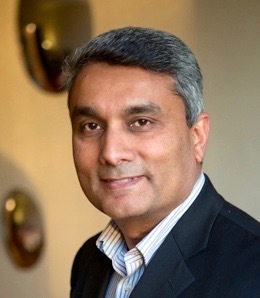 Gopal is an international sales leadership educator and coach, university professor, as well as an investor and entrepreneur based in Geneva, Switzerland. He has more than 30 years experience in international sales and leadership positions, and has since '2000 been helping organizations transform their sales process into a competitive advantage. With the ability to work in many of our clients' languages, he can help them design and implement a comprehensive business-to-business sales process and supporting tools, build channel sales, help sales leaders become more effective at creating a high-performance culture , consult on strategy, develop and implement customer-centric, innovation programs, facilitate workshops and provide one-to-one and group coaching. Gopal works on a global basis with clients of all sizes from multinational to local small-to-medium-enterprises across a variety of industries ranging from software and Internet to electronics, telecommunications and higher education. Silicon Valley startups, marketing and venture capital units within the Global 500 including Apple, IBM, Lockheed Martin, NEC, Toshiba and others. Red Bull, Nintendo, Sony, Universal Music, Nike, P&G, Suzuki, Samsung, DFB, Electronic Arts and other well known brands in the entertainment and film industry. Paul is a senior level negotiator with a 25 year established career track record of leadership in technology and real estate based in Seattle. Previous to joining GVG, Paul spent the last three years as a private real estate investor and advisor to startups. Prior to that time, he spent 20 years with Microsoft as the group manager where he managed the Global Procurement Software and Software Asset Management (SAM) team responsible for sourcing software licenses (and related professional services, hardware, and other technical services), cloud services, SaaS, and the delivery, management and maintenance of the internal Software Asset Management Program (SAM).